Experience the warmth and charm of the Rossland Inn, one of Rossland’s oldest, original buildings (circa 1898). The walls are adorned with local artwork and photos. You can choose the short-term or vacation apartment that suits your needs. We offer one, two, three and four bedroom apartments. Enjoy your own bedroom, bathroom and kitchen in your home away from home. You’ll find them fully equipped, including private entry, linen, kitchen, washer/dryer, WiFi and lockable storage for your bike, golf bag, skis or board. Apartments range in size from 800 sq ft to 1,400 sq ft. – spacious and comfortable. 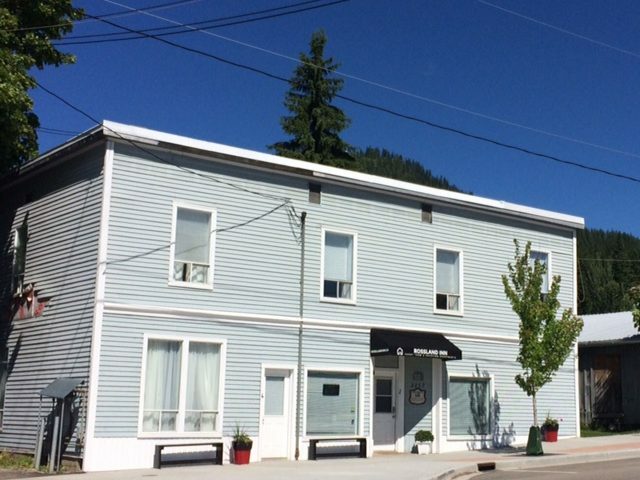 You’ll find our central location in the core of Rossland so convenient. You are walking distance from Rossland’s shops and most popular destinations: the Flying Steamshovel pub, Idgie’s Fine Food restaurant, Rossland Brewery, Rossland Thrift Shop, the Alpine Grind Café and Revolution Cycles. Hiking and biking trails are a block away. We are on the free winter bus route to Red Mountain Resort and Blackjack Cross Country Ski Club trails. It’s just a 5-minute drive from Red Resort and Redstone Golf Course for more cross country skiing or snowshoeing in the winter months. We keep the apartments stocked full of local information for biking, hiking, skiing and relaxing. Stay for one or several nights: for singles, couples or families. 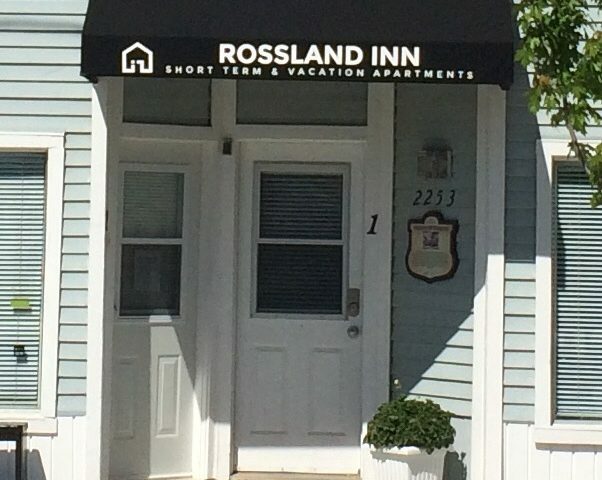 The Rossland Inn is owned and run by Kimberley, who lives in house. She invites you to come and visit the #Kootenay lifestyle and live as locals do.